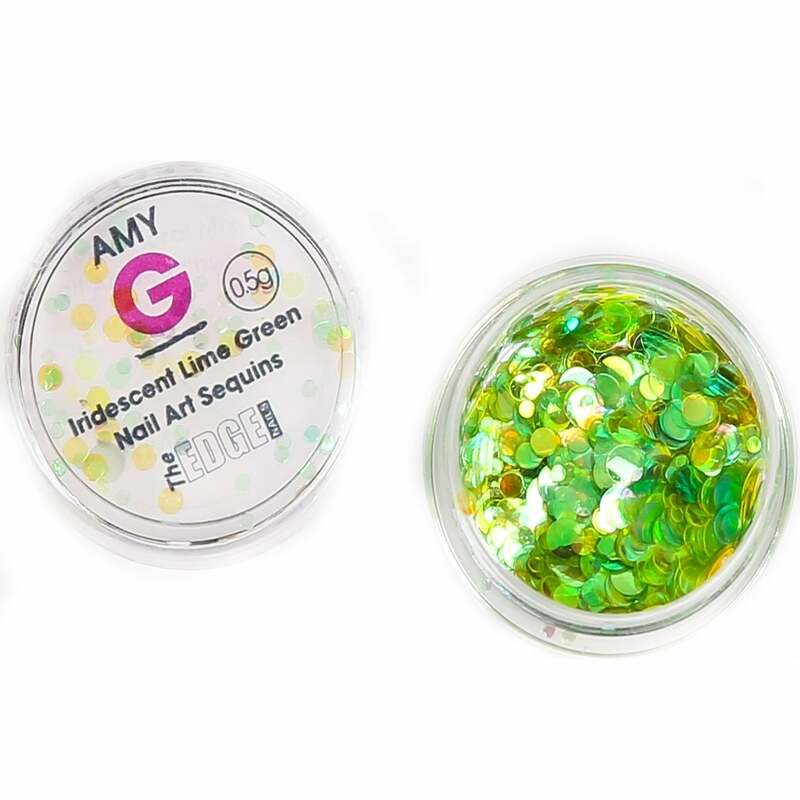 The Amy G Nail Art Collection consist of 12 Iridescent sequins. Which have been carefully selected and tested by Amy G herself and all the team at Edge Nails. To help give your nails more of a multi colour finish.. The pot is slight oversized, refer to the product image to see how the product filled looks like in the pot. The sequins are perfect to encapsulate on to the nail using acrylic. 12 Colors available in the Iridescent Nail Art Sequins Collection.